Anne-Sophie Mutter and Lambert Orkis have been playing concerts together since 1988 – from the 11th of May 2014 the two exceptional musicians will be celebrating the 25th anniversary of their collaboration with concerts in Germany, France, Austria and Switzerland. And again they will be breaking new ground in terms of their repertoire: Mutter and Orkis are bringing two interpretations to Europe that they premiered in December 2013 in New York for the 25th anniversary of their debut in Carnegie Hall: Penderecki's "La Follia" and André Previn's Violin Sonata No. 2. In addition to this, the program for the silver anniversary tour will also feature two major traditional works with the Mozart Sonata K. 304 and Beethoven's Kreutzer Sonata. 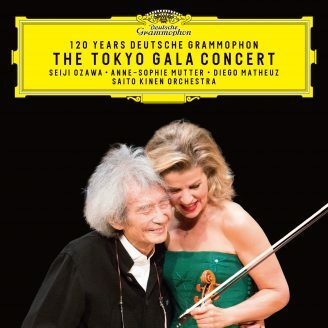 The two perfectly harmonized musicians have not only performed in the most prestigious concert halls in the world, they have also produced numerous CDs for the Deutsche Grammophon label. The recording with Beethoven's sonatas for piano and violin, for example, received a Grammy Award, and the recording of Mozart's sonatas for piano and violin was awarded a prize by the French magazine "Le Monde de la Musique". 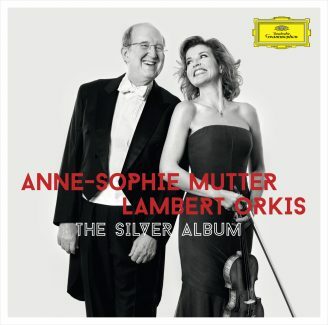 The new double CD by Mutter and Orkis will be released on the 5th of May: "The Silver Album" with the world premiere recordings of Penderecki's "La Follia" and Previn's violin sonata No. 2; the recordings of Massenet's "Méditation from Thaïs" and Ravel's "Pièce en forme de Habanera" are also new. These 40 minutes of new music are joined by sonatas by Beethoven, Brahms, Fauré and Mozart, as well as a selection of legendary encores by the duo, including for example "Beau Soir" by Debussy or Kreisler's "Caprice viennois op. 2". Sonata No. 9 for Piano and Violin in A op. 47 "Kreutzer-Sonata"